The Saltings is a comfortable wooden lodge with a terrace at the front and a balcony upstairs each allowing you to enjoy outstanding views across the Sound of Mull. Set in the crofting village of Kilchoan it is in a great location for exploring the area and a short walk from the local amenities and ferry sailings to Tobermory, on the Isle of Mull. Enjoyed our stay in Kilchoan, we were very lucky with the weather, dry and sunny days in late November. How would you rate the service we provide as a booking agency? We wanted 3 days of walking and exploring the geology of Ardnamurchan, the most westerly point of Scotland. We had 2 lovely days and one with high-speed horizontal rain. The chalet was a good base for both sorts of days. Very well equipped, warm, spacious for 2 people. Waterproof. Enough room and warmth for drying wet clothes and boots. Could you tell us what your interests are? Any friends or family that you would like to recommend Steading Holiday Cottages to? How did you find the local facilities? As expected in a remote area. Adequate except on a Sunday. A last minute break enjoyed by a family of 3 adults. Booked the Saltings as we had stayed here before and it is located centrally in Kilchoan. A walk away from the local hotel for food and an evening out. Visit the Community Centre for a coffee and a browse through the pre loved books and games. Near to the ferry to Tobermory and to the local shop. Although not high up the hill for some of the better views over to Mull the scenery all round is fantastic. Plenty of wildlife including the pine martins who visited one evening. A great base to discover Sanna Bay and the Ardnamurchan Lighthouse. With little light pollution the night skies are amazing. Already have - been visiting the area annually for many years. The local facilities are great and although there is no wi-if in the property nearby the Steading Holidays office, the Hotel and the Community Centre all have wi-if. We had an excellent 4G reception in the house. There is a petrol pump at the local shop. My friend and I loved our stay at the Saltings. The log construction makes for very warm and peaceful accommodation. Equipment was good quality, good to use and pleasing to the eye (crockery etc) . Furniture comfortable and good looking. The location is excellent - central but very peaceful. We enjoyed the garden, the birds and even the rain as it drummed on the roof. This was a perfect (though too short) break from work and stressful lives. We might be nervous of recommending you to others in case you became too booked up for us to stay! Local shop has good variety. the local bread was fantastic, wish you didn't have to be up so early to get any! Any cafe we went to in the area had good soups, filled rolls, coffee, etc. We had a lovely break, the location is beautiful. Beautiful beach close by great wildlife.Happy to recommend. We had a great week staying at the Saltings, in Kilchoan. Lodge is very well equipped with plenty of space for the family, and the large enclosed garden was a real bonus for the dog. It's only a short walk to the Kilchoan Hotel (for good pub grub) and to the local store (for any essentials you may have forgotten to bring). Really well located with Sanna beach and Ardnamurchan lighthouse each about 15 minutes drive away, and Mull is easily reached by the regular ferry. Be prepared for no Wi-Fi, and a patchy phone signal. Local hotel was friendly, well priced and had a good range of food on offer. The local store stock essentials, although its definitely worthwhile ordering a veg bag for your stay. The community centre is good for local information, sells home baking and hot food at lunchtime, and sits beside an amazing kids playpark. This is our second visit to West Ardnamurchan and we thoroughly enjoyed using the Saltings as a base to explore the local beaches and volcano. The accommodation was very cosy and had everything we needed including a nice lounge to relax after plenty of fresh of air during the day on the various beaches we visited. There was a good selection of DVD's but you can obviously take your own in case you want more selection. If you need any assistance the Steadings office is opposite but we didn't need it. The local supermarket/post office supplied anything we had forgotten to take and we stocked up on fresh meat and vegetables in Morrisons in Fort William. I would highly recommend doing the drive along the North Coast of Ardnamurchan Pensinsula (takes you passed the Harry Potter viaduct in Glenfinnan and some amazing scenery including dropping down into Loch Moidart) and then taking the Corran Ferry back (which takes you along the South Coast through Strontian and follows Loch Sunart). Both drives are truly spectacular and well worth annoying the kids to take lots of pictures! On this trip we saw a Stag, Sea Eagles and a Submarine! Never a dull moment in this wild and wonderful part of Scotland. Very good - the local hotel is good but we didn't use it this time. The supermarket/post office had everything we needed that we had forgotten to take. We chose the Saltings as it had two double beds suitable for two couples and was within walking distance of the hotel,pier and shop. We found it reasonably comfortable and a good base for touring the area. It was very quiet and peaceful and ideal for getting away from it all though we did appreciate the wifi available at the Steadings holidays office a minutes walk away. We had a relaxing week taking trips to the lighthouse, Sanna Bay, walks to Glendrian village and beach, a day out in Tobermory using the ferry and caught sight of large numbers of deer in the local area. The A frame is however suffering from ageing windows and external woodwork and in need of some attention. The electricity cost us £14 for the week with minimal use of heating and being out most of the day so this could become an expensive add on in cooler periods. The kitchen was very dark and the dining area rather cramped. The Kilchoan hotel was warm and served good food and had a pleasant bar. The shop is good for essential items but very expensive and with limited stock so if self catering take plenty of supplies with you. We stocked up a bit at the coop in Tobermory. the weather was cold and rainy at times so it spoilt the holiday to a big degree. On arrival the storage radiators were ice cold, they took 2 days to warm up properly, WE WERE COLD !!! The radiators were inadequate for the weather anyway. The mattress was very hard on the bed, made my hips ache. I burnt some food in the microwave, filled the kitchen with smoke which blew into the living room, I could smell it upstairs but the smoke alarm DID NOT GO OFF!!. That night I was unnerved by the kitchen fire and lack of smoke alarm ,safety net, I didn't sleep until 4am worrying in case the was another fire. John replaced the battery in the alarm and put one up in the kitchen the next day. I couldn't get the door of the dryer to close, the technique was to put a finger in the hole and lift the door while closing it!!!. There's a note on the inside of the door warning not to use the key to lock it!! why??? The cottage is sweet and well equipped, if the weather was good it would be lovely. I'm not sure why I was charged £20 per dog for the week. Hi Pam, thank you for your review. We are sorry to hear that you didn't fully enjoy your holiday. We would like to make clear (especially for future guests) that there was no fire in the house. As you said, you burned some food/liquid in the microwave causing quite a strong burning smell. There was no kitchen fire. The microwave is in perfect working order as are the smoke alarms. We suspect that they didn't go off because any smoke would have been contained inside the microwave but there would have been quite an overpowering burning smell, which would have filled in the kitchen and downstairs. The batteries in the alarms were not flat but we replaced these and added another alarm for your peace of mind. With regards to the dog charges, this is our standard charge as advertised and confirmed in all our booking correspondence and covers any additional cleaning required. Thank you for your comments regarding the mattress, heating and lock, we will pass these onto the owner. We hope to see you again in the future. The location of this lodge is fantastic. We took bikes, walked, got the ferry to mull and didn't need to get the car out at all. If you want some time away from it all this is perfect. The lodge is well kitted out and we had everything we needed. Good value for money too. Shop is well supplied, we didn't eat in the pub but menu looked good. Ferry to Tobermory was great and cafe fish there is excellent. The Saltings is in an excellent location for exploring Ardnamurchan and ideal location for a short ferry hop over to Mull. The accommodation I would describe as 'rustic' and showing it's age, but nothing a spruce up inside wouldn't mend. The garden could also do with a tidy up but we weren't that bothered about these things for the long weekend we had. There were only three of us so we found it really spacious and the layout inside is good. It is also really well equipped and has a sort of homely charm with all the books on the shelves. It needs some TLC but we would still recommend it to others. The local shop is well stocked with anything you would need for holiday self catering. The Kilchoan Hotel is a short walk and good for pub grub with really nice staff. Road to the Mull Ferry is a mile. we had a lovely holiday break and loved the accommodationIt was spotlessly clean and was well equipt with everything we needed.the accomodation was well located.However we felt paying for the electricity was high rate and added to the cost of the stay. As it was cold it would have been good if the storage heaters had been switched on prior to us coming, as it was there was no heat from them until the rolling afternoon. It would have been good if there had been somewhere to hang clothes that you took off at night we used the bedroom downstairs. Would return again if planning a West of Scotland holiday. 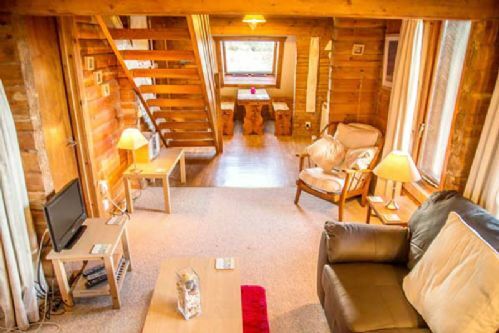 Comfortable well equipped family accommodation in restful, picturesque location. Spent a lovely couple of days at the Saltings. Weather fabulous and accommodation very comfortable. Well equipped for self catering. Took our own linen and towels though. No table or seating in the garden area which was a shame but perhaps early in the season for that. Almost too bright at the dining table beside the velux window so a blind or shade would have been helpful. Superb spot for relaxing or exploring the surrounding area. Views to die for. Would definitely return. For such a remote location the local facilities were good. The Ardnamurchan is a very special place, even by the high standards of the Scottish Highlands, and Kilchoan is perfectly suited to a holiday in this wonderful location. The Saltings makes a great base for exploring the area - particularly for a family - and provides comfortable accommodation. 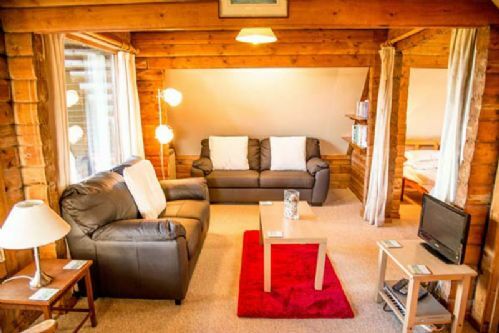 The lodge is literally a log cabin and has all the basic requirements one would expect although it does not provide the sort of standards that one would find in a 5 star hotel, not that one would expect it in this type of holiday cottage. We were a group of 5 and had ample room, yet there was room for at least a couple more people at a push. There are nice sea views from the upper balcony and space to park the car right outside the door, making it easy to shift all our gear inside. For those who don't want to drive too far, there is plenty to do locally: The Ardnamurchan Lighthouse and tea room, the stunning beaches at Sanna bay and Bay MacNeil, several other beautiful deserted beaches on the north coast, deserted villages at Glendrian, Plocaig and Bourblaige, the Sonachan Hotel and the Kilchoan Hotel are great for food, drink and ceilidhs and further out, The Salen Hotel. There are stunning views of the islands of Muck, Rhum and Sky in the distance, and if walking is your thing, you'll be in seventh heaven. The area is also teaming with wildlife: in a two week stay, we saw so many eagles we lost count, plus we saw a pine-marten, otters, seals and even a mink although these are technically pests. Oh, and before I forget, the whole area is formed around the remains of an extinct volcano! Check it out on Google Earth and you'll be amazed! All in all, we had a great time and great weather! Definitely recommended. Any of my friends who like the great outdoors would live this location. Very local, but friendly. You'll probably want to factor in a shopping trip to Fort William if you stay more than a week. We have holidayed in the area many times but this was our first stay in the Saltings. The house is well equipped and comfortable and in an ideal location to benefit from the local shop and ferry to Tobermory. We spent the week going walking, beach combing and enjoying some lovely weather and beautiful scenery. It was the Regatta Week and that meant there was plenty to do and see in the area. Although the house didn't have wifi the local community centre provides access in the tea room. An enjoyable and relaxing week away from work. Although we stayed as a couple this time the house would suit a family stay. Area is full of excellent places to visit. the lighthouse, Sanna Bay, and a ferry to Mull are a few of the highlights. We had an amazing time, the house was just what we wanted, spacious, well equipped and within walking distance of the only shop for miles. We used the holiday to walk, run and relax, and loved sitting out on the porch watching the birds and sheep. Quiet area, though not too remote, with other runners and walkers around. Felt just perfect. The Saltings is a lovely house in the most perfec location on earth. We stayed in a neighbouring cottage the year before and would highly recommend the area and the cottages. The property is good value for money but is a little "tired". The beds/sitting room furniture could do with replacing. Good shower. However it is extremely well located.